If there's anything I love, it's boozing and noshing for a worthy cause. It's great to snack for the kids/disease/injustice or in this case to benefit the 6th Street Playhouse, a 501(c)(3) not for profit organization, celebrating its outstanding youth and adult School of Drama education programs and a full season of musicals and plays in the G.K. Hardt Theater and The Studio.6th Street Playhouse is a proud member of the Historic Railroad Square Association.For information about 6th Street Playhouse including show and class schedules visit http://www.6thstreetplayhouse.com/. Yes people, drama is important. 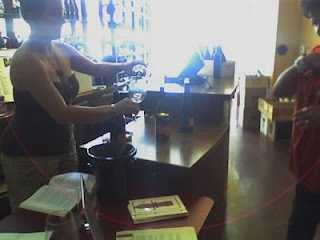 We walked around sampling wine and snacks and getting reintroduced to a very cute area, downtown Santa Rosa. The standouts for me were the Sunce wines at Fabulous finds. I love visiting Sunce for the Russian River Valley events and their wine does not disappoint. Rich, fruit forward Zinfandel and Syrah. Both paired well with the pulled pork sandwiches. The Wine Spectrum Bar and shop had a delightful Willowbrook pinot noir---so delightful, I did not miss the no snack aspect. The place itself is super cute and the staff knowledgeable and fun. I'll definitely be back here! 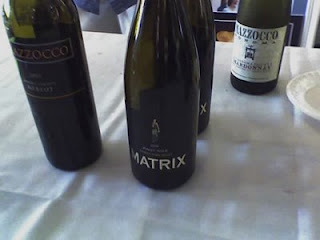 The standout wine for the day for me had to be the Matrix and Mazzocco being poured at Sherrie Blondin's Photography. Besides the fact that "Dr. Sherrie" (she can so fix the look of your abs, nose, significant other! The girl has Talent!) 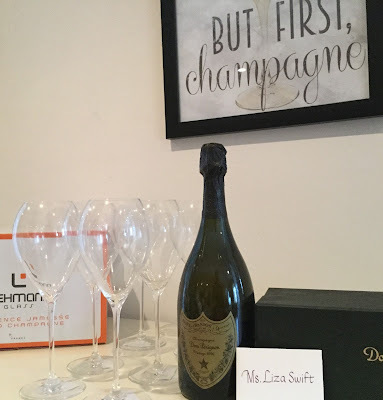 was showcasing her work, the wine was excellent. I particularly enjoyed the Matrix '03 Bordeaux Blend. Composed of 64% Cabernet Sauvignon, 16% Merlot, 8% Malbec, 8% Petit Verdot & 4% Cabernet Franc, I got floral infused notes as well as black currant and a delightfule woodsy aroma underneath. I also like the Mazzocco, but cannot remember which one it was! 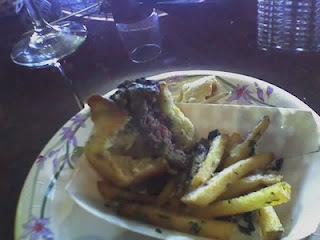 From a snack perspective, my favorite was the Kobe beef slider served with truffle fries! Kobe beef needs to be properly cooked to maximize its juicy goodness and the folks at Stark's did a great job seasoning, selecting the brioche bun and pairing it with truffle fries, which are quite possibly the world's most perfect food. Paired with a nondescript, but serviceable KJ, one longed for a more inspired match, however, the smoky ambiance more than made up for it. Comfortable leather club chairs and a live band serving up late '70's AOR straight out of the movie "FM" took me back to Marin County. Someone find me a peacock feather! Delightful. By now somewhat tipsy, we somehow found a place serving Fred Flintstone portions of *gasp* Cold Stone Creamery Ice cream cake. Ambrosial delights of ultra creamy strawberry ice cream artfully wrapped around tender yellow cake. A few more stops then I reluctantly parted company with the Luscious Lushes, at Bistro Syrah, I grabbed a bottle of Rochioli Sauvignon Blanc to take to my next stop. Railroad Square definitely left me wanting more! Thanks, Thea!! !